Holy cow, how is it December 22 already? I’d better get my gingerbread groove on before the holiday season is over! 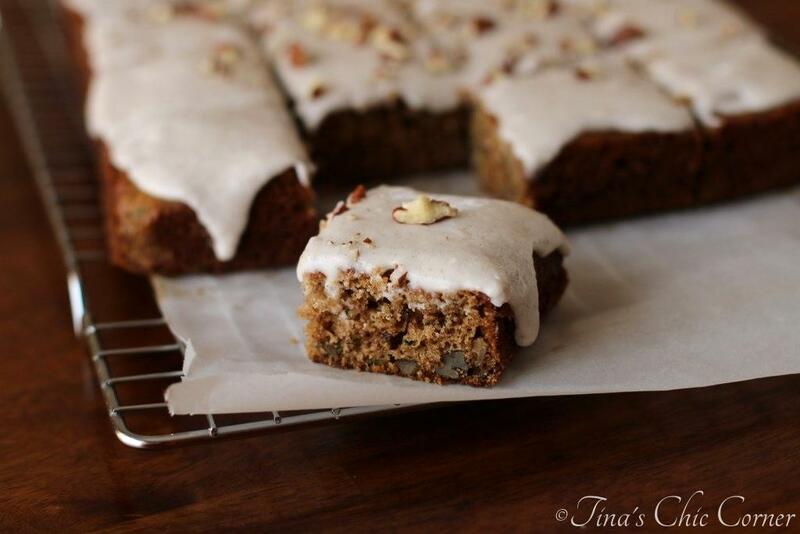 Why is it that we only tend to eat gingerbread goodies during this time of the year? I mean you can find the ingredients all year long. Maybe it’s nostalgic to crave cinnamon, ginger, and allspice at Christmas time? Or perhaps because it’s hard to find fresh fruit this time of the year (at least in the New England area) and that means we branch out to spices instead. Whatever the reason is, I need my fill because I love anything having to do with gingerbread. 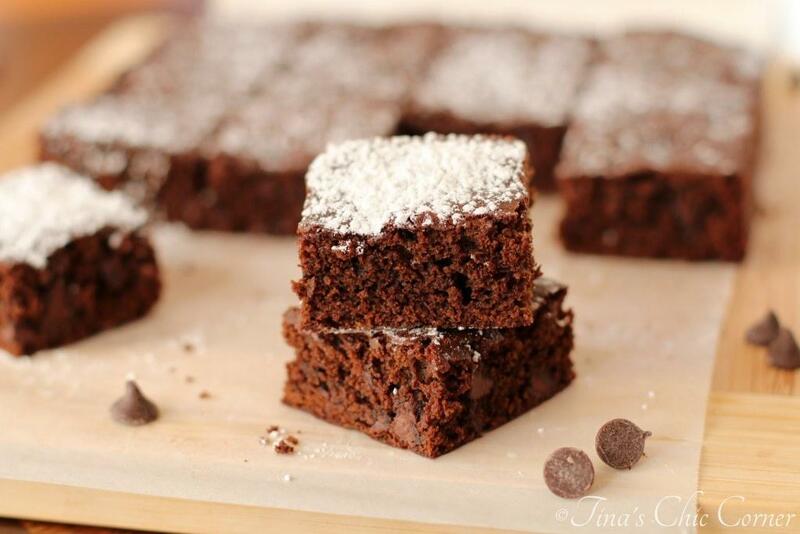 These are much easier to make than gingerbread cookies if you ask me. No worrying about getting the frosting spread out evenly or getting gumdrop buttons in the right place. And how cute are they?! I mean who wouldn’t love to have their own personal sized bundt cake for dessert? These bundt cakes have all of the traditional gingerbread cookie flavors going on except in convenient cake form. Paired with a cup of espresso (made with my new handy dandy Nespresso maker) is an instant recipe for a great evening. My husband isn’t a fan of gingerbread cookies. He just doesn’t really enjoy ginger. These little bundts still have ginger, but it’s not as intense since it’s spread out in a whole little cake so even he loves them. I love that my youngest sister was around to help with these action shots. Thanks for the assistance, Athena! Grease 4 1-cup bundt pans and set them aside. In a medium bowl, whisk together the flour, baking powder, baking soda, and salt. Set the dry ingredients aside. Stir in the ginger, cinnamon, and allspice and cook for about 30 seconds. Turn off the heat, set it aside and let it cool slightly. In a large bowl, mix together the eggs and sugar until it’s light and frothy. Mix in the cooled butter mixture, molasses, and water until smooth and combined. Bake in the preheated oven for about 15 minutes or until a tester inserted comes out clean. Let the cakes cool in the pan for about 10 minutes and then remove them from the pan to cool completely on a wire rack. 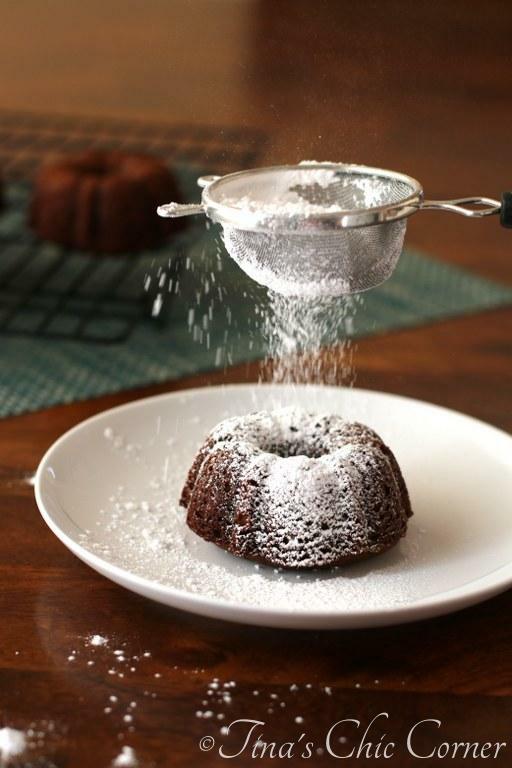 Sprinkle powdered sugar on top of each bundt prior to serving. Here are some other gingerbread and spice treats. Tina, these look great and I am sure taste great with the gingerbread. This year I’ve gotten soooo into gingerbread! These little bundt cakes are adorable! Love that shot with the powdered sugar!! I’m glad you love! 🙂 I’ve already seen commercials for Valentine’s Day?!? Really? These little cakes look so good. I prefer gingerbread over chocolate, if you can believe that. I love how you captured the powdered sugar action. Good job little sister.